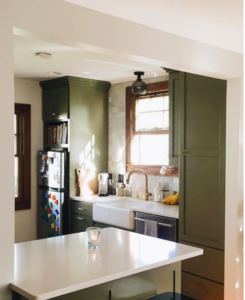 If you’re itching to do something with your kitchen, and you just don’t want to do black or white or blue, Apartment Therapy.com’s Dabney Frake suggests trying green. 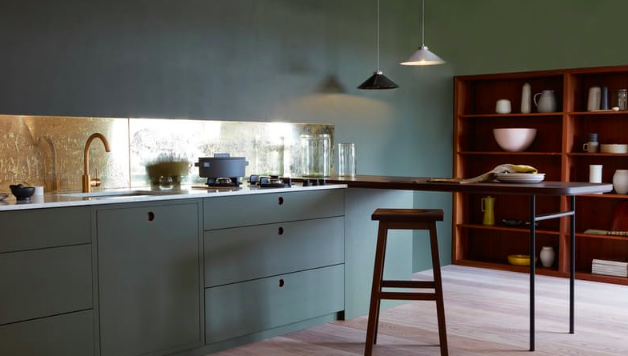 For instance, check out this subdued green kitchen area that’s simple, streamlined and positively minimalist. 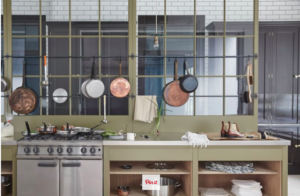 Include a gorgeous back splash, a faucet that creates a design focal point and even wood-looking floors, and you have a kitchen designed for serenity. 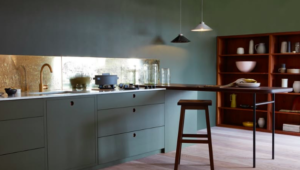 Kitchen areas like this are complemented well with design basics like subway tile or open shelving. Deep trough-style sinks, high-style faucets, and quality stone rectangular tiles are all strong design elements that let the beauty of the materials (and the color!) shine through. We’re crazy about this kitchen! 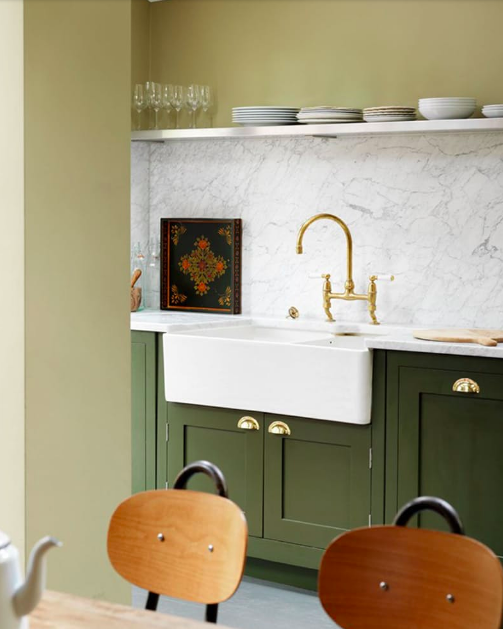 The brass faucet with the apron front, trough sink make us want to roll up our sleeves and whip up a Sunday brunch for the family. 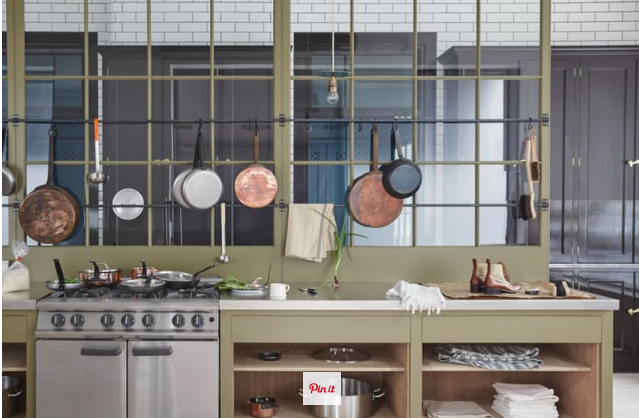 Don’t miss the gorgeous details found in the cabinet pulls and the stunning backsplash.